Businesses are recognizing the strategic importance their website plays in lead generation and sales. The challenge they face though is how to design a modern website so that it is an active player in attracting prospects, converting them into leads and then nurturing them until they are ready to buy. The key ingredient for enabling this process is to consider the buyer's journey steps (awareness, consideration, decision) when you design the content for each page and provide offers for the visitor that are content contextual for each page. We know this is a lot to grasp in that statement, so we will drill into each concept in more detail and provide links at the end of this article so you may gain additional insights into modern website design. The very first item is to map out is the primary buyer persona that each page intends to service and provide the content they need. The first question you may ask is; "What do I do if my website is meant to service multiple personas?" The best approach is to use a website platform that can alter the content delivered based on persona. Hubspot is one that provides this capability. In the multi-persona case, you would map out the content for each persona for each page. Most companies start out with mapping content for the primary persona and then work on alternate personas later. With your main persona in mind, map out the content on each page by putting yourself in the persona's mindset and asking yourself, what is the most important information they need to learn first when they visit the page. Then decide the second most valuable content, then third, fourth, until the complete set of messages are defined for that page. Home pages take a different layout than other pages on a website since the homepage is the first thing people see, and it serves as a jumping off point for the site. Interior pages should focus on single concepts each, providing offers for each topic and guide the user to the next step in the buyer's journey. We like to call this mapping process for documenting the flow of each website page a Website Purpose Map. Since one of your primary goals is to attract visitors, a crucial step is to establish a keyword optimization strategy, which is an essential element of search engine optimization (SEO). By defining the top 6 to 8 key phrases to optimize the page content, your business stands a much better chance of ranking on page one of search engines, a goal that significantly will increase website traffic. 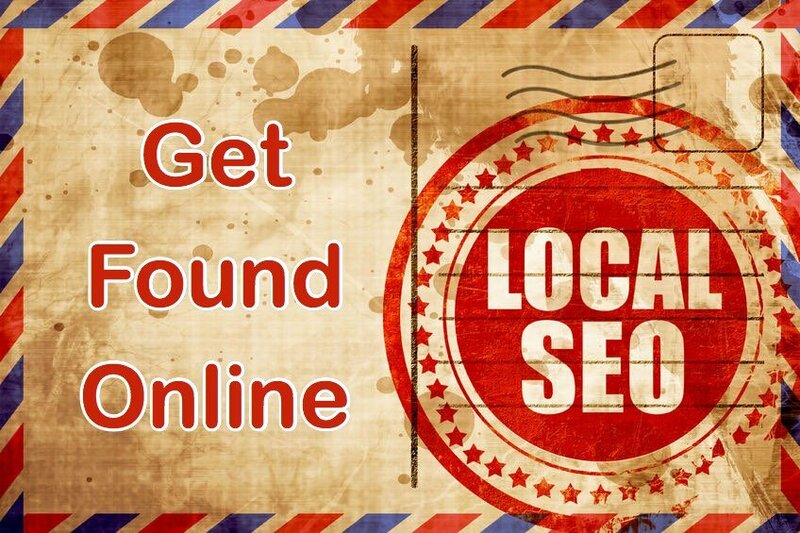 Once you have the keyword strategy in place, then be sure to optimize pages on the site for for each of them. This includes URL, page title, meta description, the page H1 tag and page content. Your next question might be; what should we do if we have more target keywords than we have website pages? The answer lies with the blog recommendation below. 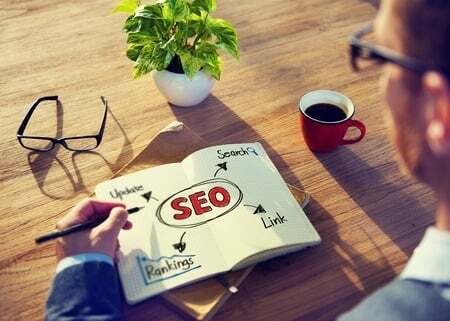 Each one of these important SEO steps should be implemented in each and every blog article. Next, think about conversion opportunities. Be sure to include at least one conversion opportunity for each page. Keep in mind that when a visitor comes to your website, they are finding you through organic search, referrals from other sites, social media, or other sources and each page has a purpose. 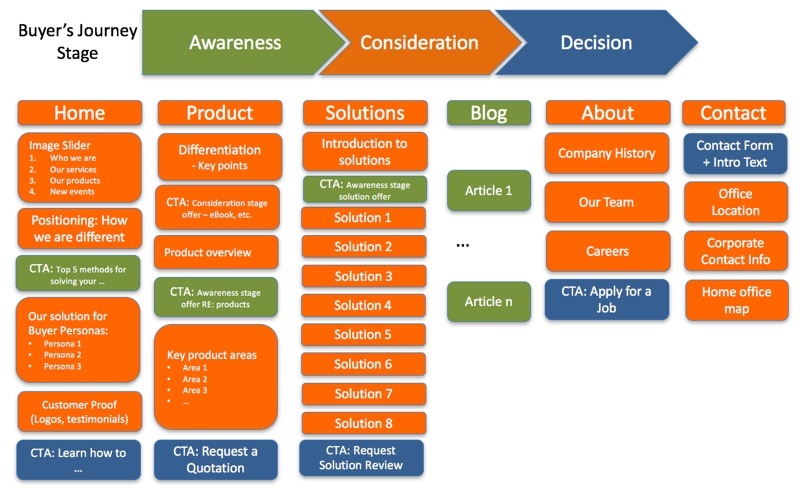 Try to align each offer to the page it resides on and which buyer's journey stage it applies. You will find that many website pages for B2B companies have consideration stage content, therefore, be sure to provide a consideration offer, one that educates the visitor about your product or service or provides other valuable content about your company. All websites should include a blog because it provides the opportunity to create and publish a lot of content in an easily indexable way by topic or author. What's more, blogs are targeted at the awareness stage of the buyer's journey, Blogs attract the most visitors and provide your company with the ability to address many different topics, which in turn, provide the opportunity to rank in search for many long-tail keywords. Don't forget to include a Call-to-Action on each and every blog article, and be sure each offer is contextually aligned with the topic. Some businesses underestimate the value of social media pages when they design their website and consider their Owned Media digital asset strategy. Integrating "follow me" and "social sharing" links to company social pages are an important way to make it easy for your target customer to follow news and information shared by your business. Be sure to include automatic publishing of blog article excerpts to these social media pages. Most digital marketing tools include the ability to share article excerpts from a blog RSS feed including the featured image and text up to the "more" tag in the article. This automation is a good way to keep contacts informed about your business while minimizing the number of marketing tasks you have to think about. This article about website design would not be complete without mentioning mobile optimization. Website visits by mobile devices represent more than 50% of web traffic. The term that is used to define a site design that works on mobile devices is called a "responsive" website, because its layout responds to the needs of the visitor. The most common use case you will experience is a user learns about a blog article by searching or receiving a notification through social media or other methods. The visitor then reads the article on their phone. If the content provides enough value, they may complete a form to subscribe to the blog or just save the article to read later on their computer. If the blog pages (and website design) were not responsive, then the visitor would have to pan and zoom to read the story. Most visitors have very little patience for that and generally close the browser. Your business does not want to be one of these sites. We have taken the time to curate articles that reinforce the topics reviewed in this article and drill into more details for your reference. As you consider the curated articles about modern website design, feel free to download the 25 website must-haves for driving traffic, leads and Sales eBook. We are providing more articles about modern website design to provide you with more insights along with our thoughts about each article. T‍his article by lean labs, provides a first level list of the website "must-haves" when designing a new site for your business. One additional point that we did not mention above that is worth considering is clear and accessible contact information. I cannot tell you how many times I have visited websites and decided to make a phone call to clarify information about a product or service but could not find a phone number. The easiest way to turn off a visitor is by frustrating them by a lack of clear information or an inability to contact you. It's not hard to determine whether or not your website could use a facelift. What is hard is deciding just how much of a lift it needs. The reality is (contrary to what many Web designers would have you believe), most businesses don't need a whole new site to begin attracting more customers. What they need is an inbound marketing plan and a few website tweaks. 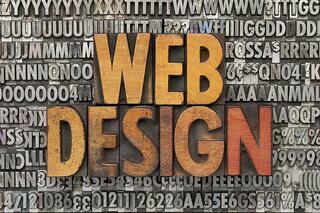 T‍his next article by Code Mentor provides advice for website user interface design. Their first point is responsiveness. They further go on to mention accessibility for people with disabilities which is an important point that is very often overlooked. Two other favorites of mine are calls to action buttons and including enough white space. Calls to action buttons reinforce our point about creating conversion opportunities. White space is your friend and makes sites look clean and pleasant to visit. What use is a beautiful website if the user experience (UX) is sluggish, impractical, or cumbersome? When it comes to web design, there are some elements that make browsing a site much easier for website visitors. Making sure you address these best practices on every design project will go a long way toward making your websites stand out from those of other designers. Your clients will know they can count on you to create a quality website that users will enjoy and return to time and time again. T‍his article by Andy Levernz delves into the topic of website traffic. Do you know what his first recommendation is? A blog! Blogs enable your site to have dynamically updated content that encourages search engines to re-index your modern website and provides opportunities to rank for many additional keywords. He also discusses SEO. You may not be aware that SEO is a continuous activity for every website, not only for each blog that is published but the acquisition of inbound links as well. The internet is crowded. It seems as though anything and everything has been thought of. Don’t let this discourage you into thinking no one will ever take notice. People like you and I take to the internet to find solutions to problems or answers to questions. Often times these problems are answered using content available for free. This in return sometimes leads to new customers for businesses on the web who want to utilize a service, buy a product, or simply discover more content. T‍his next resource is by Talia Wolf. She is an advocate of taking a step beyond responsive design and changing the content for mobile platforms. Marketing automation platforms like Hubspot allow you to do that automatically but you must take the time to edit the content first. They call this process "smart content." This capability is the same that enables marketer's to display different content for each persona as well. Personalization is a very important topic regarding website design. More on that in a later article. T‍his article by Greg Schraff provides a deep dive into conversion rate optimization. This means, changing the calls to action offers on your website so that the rate of visitors to conversions is as high as it can be. He also looks at conversions at each stage of the marketing and sales funnel. I have always been a believer that having the right content and attracting the right visitor will maximize conversion rates. 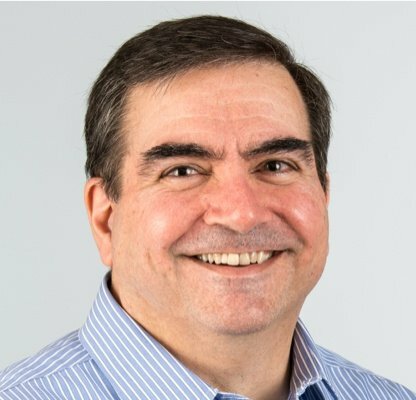 Greg's number one of his twenty seven best practices is: "Within a matter of seconds, the visitor should be able to decipher the site’s brand and easily answer the question, Who are you?" This resonates with us as well. Read this earlier blog on the same topic. But, in order to get sales you first need to generate interest. That is, you need to generate leads – and the best, most effective, way is to get these leads online. T‍his last valuable article is by Amanda Singleton. She dives into metrics that you should track from day one. If you have been reading our content, then you know we are big believers of measuring everything because without metrics you can't understand which aspects of your website require improvement. When it comes to Inbound Marketing, read our earlier article about the 9 KPIs for Inbound Marketing Success. In the meantime enjoy Amanda's article about the key metrics to measure. Further, Amanda introduces the concept of "Growth Driven Design" which is a concept of creating an initially simple website, incorporating metrics, and gradually increasing the content based on visitor needs. In all cases, metrics like those provided by modern marketing automation platforms are critical to your success. We hope you enjoyed this article. If you are unfamiliar with Inbound Marketing, then please download the methodology eBook titled, "8 Steps to Attract Qualified Leads for Your Business."